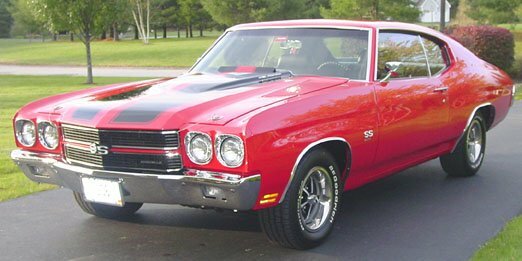 For 1970 the Chevelle received some more body restyling and the introduction of the monster big block 454cid. 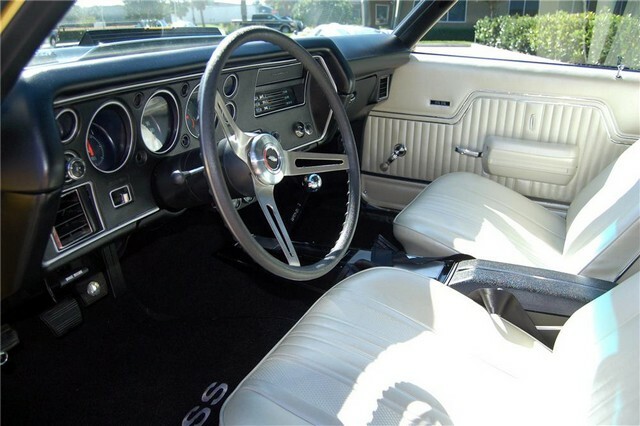 The body incorporated a more sculpted and rounded appearance. Dual head lights complimented a pronounced larger rectangular grill. Also, the cars had dual round tail lights and optional cowl induction. 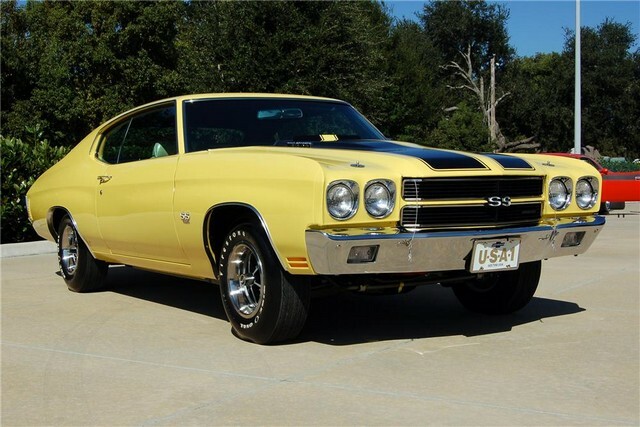 This production year is arguably the most recognized and loved Chevelle. 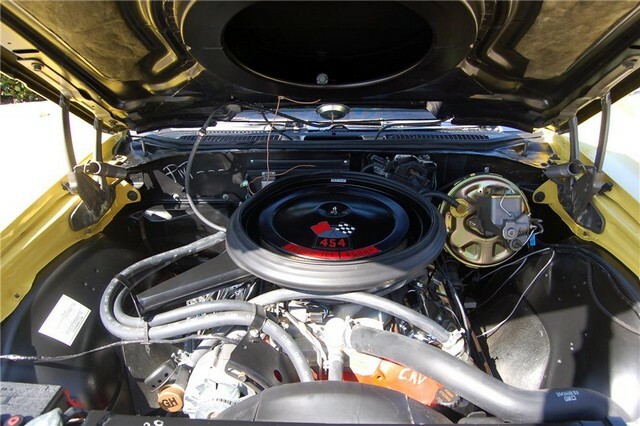 SS-396: 350hp 396cid standard motor, optional 375hp 396cid , chrome wheel moldings, SS396 badges, twin bulge hood, heavy duty suspension, and decorative engine compartment (chrome). SS-454: Called the Z15 package. Included decorative engine compartment (chrome), dual exhaust with chrome tips, blacked out grille, raised white letter tires, and ralleye wheels. 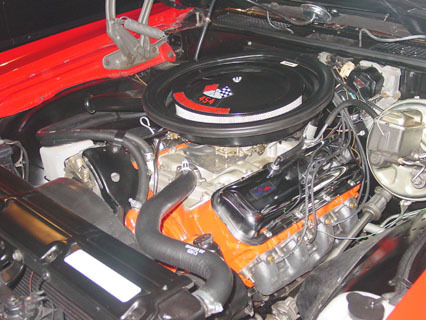 Optional 454cid 450hp motor (LS6 option) included aluminum intake, huge flowing heads, solid lifter cam, 11:1 compression, and four bolt mains.